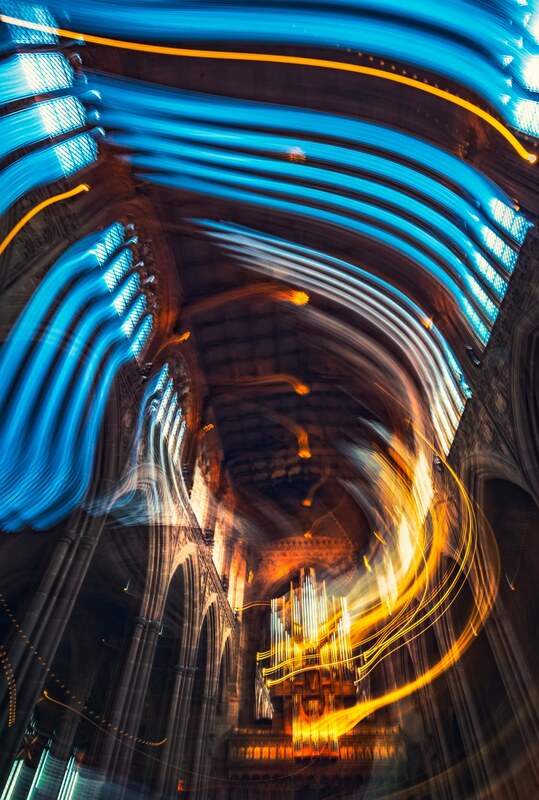 I’m pleased to announce that my recent Cathedral Nave Spin image above has been chosen Manchester Cathedral as part of their Capture the Cathedral exhibition and photography competition. Also the image has been selected as a winner of the “Something Different” category , and runner up overall . In the category entries were encouraged which invited imaginative takes on any part of the Cathedral. I made the winning image at the Cathedral at the end of a visit to Salford in May. I was quite keen to challenge myself then to see what would happen if I introduced an element of motion on top of a traditional view of the nave. This was a case of deliberately moving the camera , and holding it still for periods within a (roughly) two second exposure window. Wanted to produce two effective exposures , one of the static details , and another of the windows which became blurred. The light trails would then make an overlay with the details of the nave. 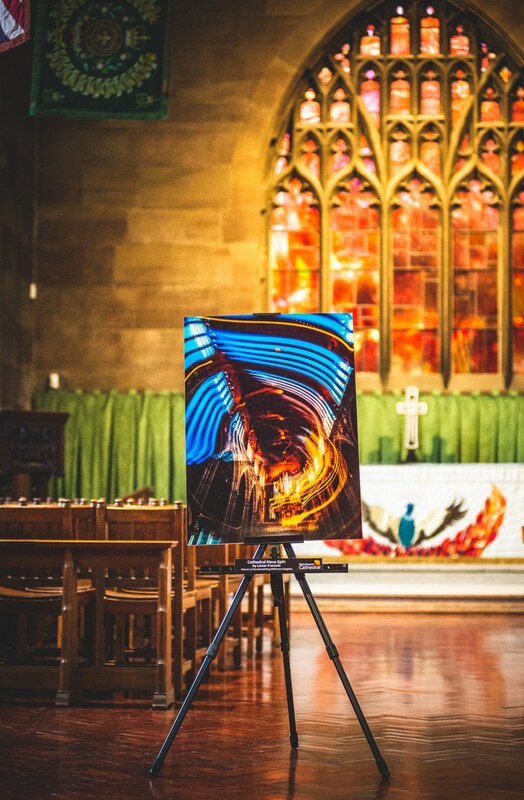 The image will be displayed along with other entries , with the exhbition running until the 9th of August within the Cathedral. Additionally the Cathedral is running a People’s Choice award for the most popular image – you can vote for my entry here. class="post-template-default single single-post postid-3554 single-format-standard samba_theme samba_left_nav samba_left_align samba_responsive woocommerce-no-js wpb-js-composer js-comp-ver-5.6 vc_responsive"